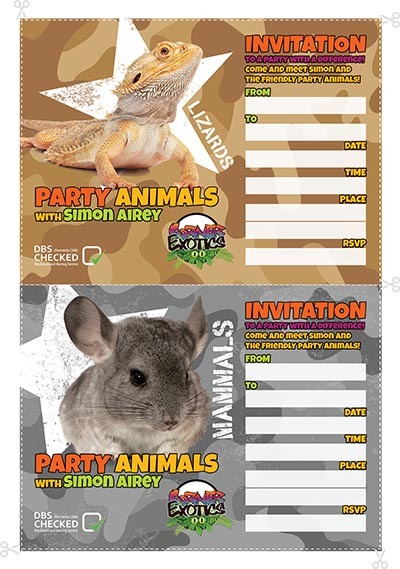 If you are having a Party Animals Party, please find below some party invites containing images of our animals. 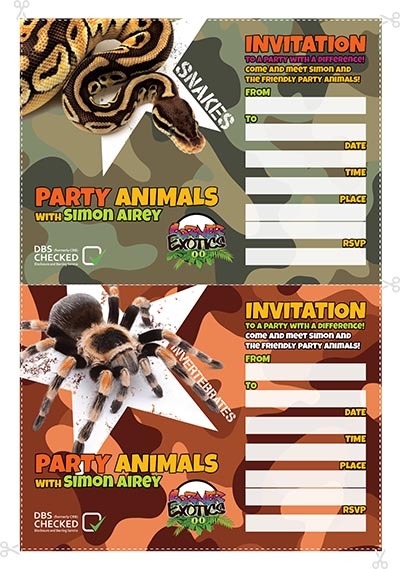 Each PDF file contains 2 invitations at A5 size. 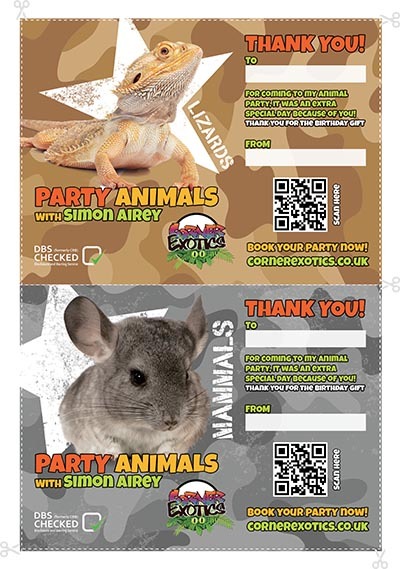 You can download your favourite or use a selection of each animal. Each PDF file contains 2 THANK YOU LETTERS at A5 size. 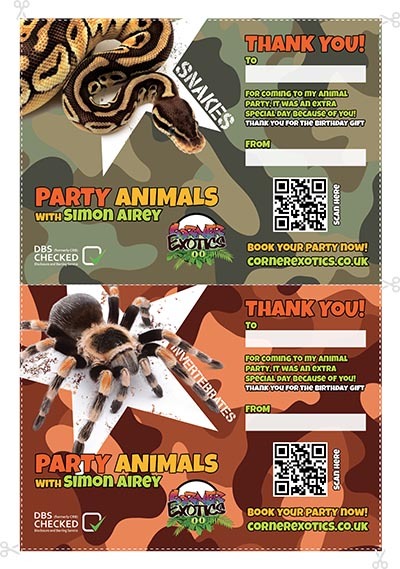 You can download your favourite or use a selection of each animal.